Every day brings new headlines about the decline of traditional media powerhouses like Time Inc. and the triumph of digital native media like Buzzfeed and Politico. Old media giants like the New York Times are betting everything on their digital offerings to replace the shrinking revenue from traditional advertising. But the ugly truth, argues Michael Wolff, is that digital media isn\'t working for any content creator, old or new. Wolff shows how the leaders in digital media, from the mighty platforms to brand name magazine and news sites, are now trying to become video producers and to effectively put themselves into the television business as distributors and programmers. Wolff predicts what will happen during the next few years of this gold rush and war for survival. Good 159184813X Item in good condition. Textbooks may not include supplemental items i.e. CDs, access codes etc. "The closer the new media future gets, the further victory appears." --Michael Wolff This is a book about what happens when the smartestpeople in the room decide something is inevitable, andyet it doesn't come to pass. What happens when omenshave been misread, tea leaves misinterpreted, gurusembarrassed? Twenty years after the Netscape IPO, ten years afterthe birth of YouTube, and five years after the first iPad,the Internet has still not destroyed the giants of oldmedia. CBS, News Corp, Disney, Comcast, Time Warner,and their peers are still alive, kicking, and makingbig bucks. The New York Times still earns far more fromprint ads than from digital ads. Super Bowl commercialsare more valuable than ever. Banner ad space on Yahoocan be bought for a relative pittance. Sure, the darlings of new media Buzzfeed , HuffPo , Politico, and many morekeep attracting ever moretraffic, in some cases truly phenomenal traffic. But asMichael Wolff shows in this fascinating and sure-to-be-controversial book, their buzz and venture financingrounds are based on assumptions that were wrong fromthe start, and become more wrong with each passingyear. The consequences of this folly are far reaching foranyone who cares about good journalism, enjoys bingeingon Netflix, works with advertising, or plans to have arole in the future of the Internet. Wolff set out to write an honest guide to the changingmedia landscape, based on a clear-eyed evaluationof who really makes money and how. 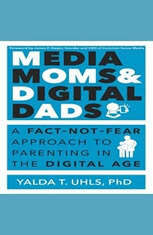 His conclusion: TheWeb, social media, and various mobile platforms are notthe new television. Television is the new television. We all know that Google and Facebook are thriving byselling online adsbut they're aggregators, not contentcreators. As major brands conclude that banner ads nextto text basically don't work, the value of digital traffic tocontent-driven sites has plummeted, while the value ofa television audience continues to rise. Even if millionsnow watch television on their phones via their Netflix,Hulu, and HBO GO apps, that doesn't change the balanceof power. Television by any other name is the gameeverybody is trying to winincluding outlets like TheWall Street Journal that never used to play the game at all. 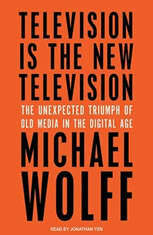 Drawing on his unparalleled sources in corner officesfrom Rockefeller Center to Beverly Hills, Wolff tells uswhat's really going on, which emperors have no clothes,and which supposed geniuses are due for a major fall.Whether he riles you or makes you cheer, his book willchange how you think about media, technology, and theway we live now. The New Deal as a Triumph of Social Work concerns the 'hand' the New Deal plays from the perspective of early American History in which government and business cooperation is assumed and economic rights are addressed collectively whereas political rights are considered individually. This book explores the new terrain of network capitalism through the transformations of the discourse on technology. Evangelical broadcasting has greatly expanded its footprint in the digital age. This informative text acquaints readers with how the electronic church of today spreads its message through Internet podcasts, social networking, religious radio programs, and televised sermons; how mass media forms the institution's modern identity; and what the future of the industry holds as mobile church apps, Christian-based video games, and online worship become the norm. The worksplit into two volumesreveals the ways that the Christian broadcast community affects evangelical traditions and influences American society in general. Volume 1 explores how electronic media shapes today's Christian subculture, while the second volume describes how the electronic church impacts the wider American culture, analyzing what key figures in evangelical mass media are saying about today's religious, political, economic, and social issues. The set concludes by addressing criticism about religious media and the prospects of American public discourse to accomodate both secular and religious voices. This book explores the emergence and encouragement of the new narcissus in our society and the ways in which this is portrayed in reality television. Through studies of well-known reality shows, including Toddlers and Tiaras , Hoarders , Sister Wives , Catfish: The TV Show , Celebrity Rehab with Dr. Drew and The Real Housewives, the author examines the combined effects of narcissism and consumerism, shedding light on the ways in which people are pushed to focus on their own biographies and self-promotion to the point of creating a false self within the individual and the development of a sense of dissatisfaction, dis-ease and unhappiness. Applying Freud's concept of narcissism and tracing it through the work of key social theorists including Durkheim, Lasch, Goffman, Riesman, Baudrillard and Giddens, The New Narcissus in the Age of Reality Television constitutes an insightful analysis of the modern ideology of greatness, perfection or being the best', that permeates society an ideology that overwhelms and ultimately drives the individual to dissemble and project an artificial self. A compelling argument for the importance of understanding the persistence of a powerful and dangerous trait in modern society, this book will appeal to scholars of sociology, social theory and cultural and media studies with interests in reality television, celebrity culture and modern narcissism. This book presents the new media from a wide perspective and discusses the effects that the new media have on the traditional media. It offers an insight into new trends in news presentation, new journalism and publishing forms (including citizen journalism, data journalism, mobile journalism, etc.) that result from the influence of the new media. Focusing on the Iranian presidential elections of 2009 and ensuing demonstrations in major cities across Iran and world, Media, Power, and Politics in the Digital Age provides a balanced discussion of the role and impact of modern communication technologies, particularly the novel utilization of 'small digital media' vis-^-vis the elections and global media coverage. Written in a non-technical, easy to read, and accessible manner, the volume will appeal to scholars, students, policy makers, and print professionals alike. The field of anthropology took a long time to discover the significance of media in modern culture. In this important new book, Anna Pertierra tells the story of how a field - once firmly associated with the study of esoteric cultures - became a central part of the global study of media and communication. She recounts the rise of anthropological studies of media, the discovery of digital cultures, and the embrace of ethnographic methods by media scholarsaround the world. Bringing together longstanding debates in sociocultural anthropology with recent innovations in digital cultural research, thisbookexplains how anthropology fits into the story and study of media in the contemporary world. It charts the mutual disinterest and subsequent love affair that has taken place between the fields of anthropology and media studies in order to understand how and why such a transformation has taken place. Moreover, the book shows how the theories and methods of anthropology offer valuable ways to study media from a ground-level perspective and to understand the human experience of media in the digital age. Media Anthropologyforthe Digital Age will be of interest to students and scholars of media and communication, anthropology, and cultural studies, as well as anyone wanting to understand the use of anthropology across wider cultural debates. Ethnic media are media produced for, and frequently by, immigrants, ethnic and linguistic minority groups, and indigenous populations. These media represent a sector of the broader media industry that has seen considerable growth globally, even while many mainstream, legacy media have struggled to survive or have ceased to exist, largely due to the emergence of new communication technologies. What is missing in the literature is a careful examination of ethnic media in the digital age. The original research, including case studies, in this book provides insight into (1) what new trends are emerging in ethnic media production and consumption; (2) how ethnic media are adapting to changing technologies in the media landscape of our times; and (3) what enduring roles ethnic media perform in local communities and in an increasingly globalized world. The ethnic media that contributors discuss in this book are produced for and distributed across a variety of platforms, ranging from broadcasting and print to online platforms. Additionally, these media serve numerous immigrant, ethnic, and indigenous communities who live in and trace their origins back to a variety of regions of the world, including Africa, Asia, Europe, North America, and Oceania. This book is an invitation to informed and critical participation in the current debate on the role of digital technology in education and a comprehensive introduction to the most relevant issues in this debate. After an early wave of enthusiasm about the emancipative opportunities of the digital revolution in education, recent contributions invite caution, if not scepticism. This collection rejects extreme interpretations and establishes a conceptual framework for the critical questioning of this role in terms of concepts, assessments and subversions. This book offers conceptual tools, ideas and insights for further research. It also provides motivation and information to foster active participation in debates and politics and encourages teachers, parents and learners to take part in the making of the future of our societies. Good 0205595820 Item in good condition and has highlighting/writing on text. Used texts may not contain supplemental items such as CDs, info-trac etc. In this 'new media age' the screen has replaced the book as the dominant medium of communication. This dramatic change has made image, rather than writing, the centre of communication. In this groundbreaking book, Gunther Kress considers the effects of a revolution that has radically altered the relationship between writing and the book. Taking into account social, economic, communication and technological factors, Kress explores how these changes will affect the future of literacy. Kress considers the likely larger-level social and cultural effects of that future, arguing that the effects of the move to the screen as the dominant medium of communication will produce far-reaching shifts in terms of power - and not just in the sphere of communication. The democratic potentials and effects of the new information and communication technologies will, Kress contends, have the widest imaginable consequences. Literacy in the New Media Age is suitable for anyone fascinated by literacy and its wider political and cultural implications. It will be of particular interest to those studying education, communication studies, media studies or linguistics.